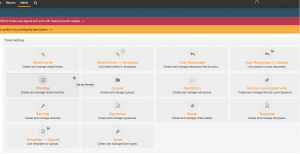 In OTRS 6 we’ve also redesigned the “Admin Interface”. 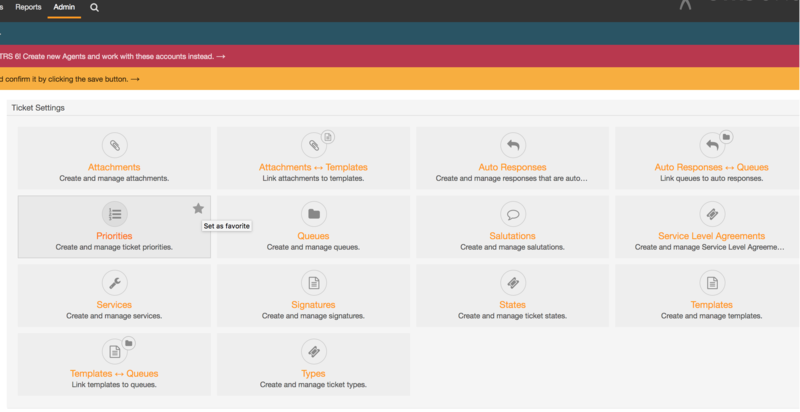 Now it’s presented with a fresh new design with some nice additional features. If you move your mouse on a specific setting, you have the possibility to set this setting as a favorite. 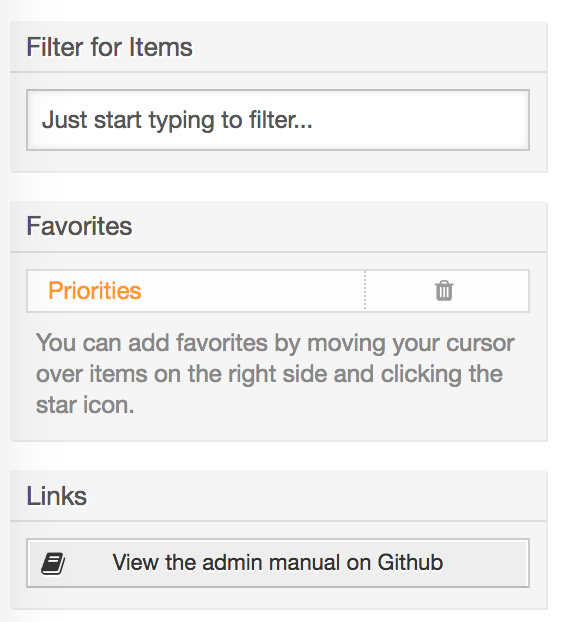 Afterwards, this setting appears in the left column in the “Admin Interface”. 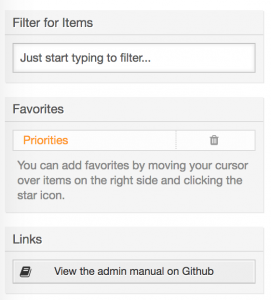 Additionally, the favored setting is also shown if you click on “Admin” in the menu bar.